There are a number of factors that can affect how effective you are as a teacher and how successful your students are in mastering subjects. 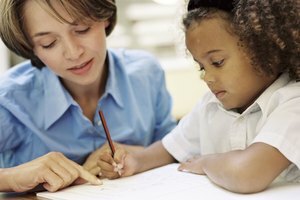 When evaluating your performance as a teacher, as well as other influences that affect your classroom, such as student behavior, it is important to track how well the changes you make improve performance over time. Having the appropriate training to teach a specific subject is an important factor in being able to teach that class effectively. For teaching in the public school system, teachers should have taken courses in the subjects they wish to teach. For teaching college level courses, a PhD in the discipline or a related field is normally required, although many community colleges accept a master's degree and some universities allow someone with a master's to teach while pursuing a PhD. Effective teachers engage in continuing education to stay abreast of developments and advances in their field. Keep track of your professional development activities. Note any observable effects on student outcomes. Good communication skills are a must in order to effectively teach, whether you teach middle school or are a college instructor. You must be able to project in a clear way. If students can't keep up with you or have a hard time hearing you, they may also have a hard time understanding the ideas or concepts they need to master to do well on exams and other assignments. You can improve your communication skills by listening more closely, reflecting back what you heard, simplifying instructions, providing more feedback, and restating important points to remember. Schools that offer students a positive learning environment, including the use technology in the classroom and a quality library, give students an edge in mastering math, English, science and other subjects. Up-to-date textbooks and other materials to use during lectures and other teacher presentations are also important. Students learn best in a safe, caring, welcoming and inclusive environment. Talk about the importance of valuing differences, celebrating diversity and being accepting of students from different backgrounds. Teachers who are good at sparking the imagination of students through hands-on learning activities or other creative approaches draw students into the joy of learning. These students no longer see new ideas as something to dread. 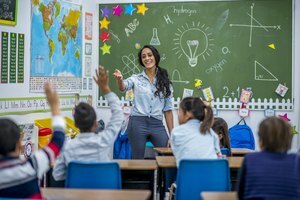 Educators like Jaime Escalante, a math teacher portrayed in the movie "Stand and Deliver," show that regardless of the economic disadvantages of many students and school districts, a teacher who uses a creative approach can make a difference. Note any achievement gaps between certain groups of students. Research and implement strategies for closing the gap. Managing student behavior and maintaining discipline in your classroom is vital to creating a learning environment where each student feels he can share his thoughts and ideas with you and with his peers. It also helps you stay on track in presenting materials on schedule. This enables you to fulfill the required curriculum for that academic year, semester or quarter. 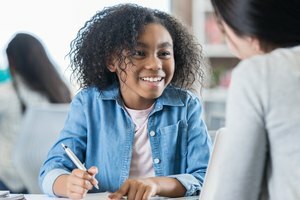 Consider taking the lead in implementing an evidenced based behavioral managment approach like Positive Behavioral Interventions and Supports (PBIS) in your school. Ketchum, Daniel. "Factors Affecting Effective Teaching." 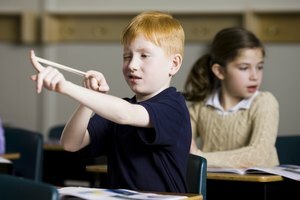 Synonym, https://classroom.synonym.com/factors-affecting-effective-teaching-7959193.html. 27 June 2018.